New technology leads to improvement and this is certainly the case for our Bee Green LED’s Fall lineup. 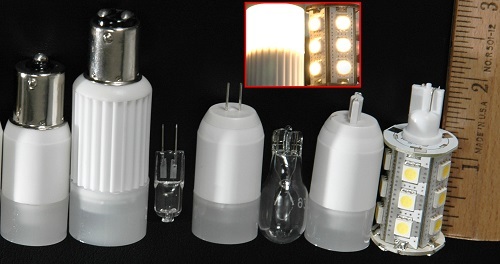 Popular Ba15 single and double bayonet bulbs; T10 wedge; and G4 LED bulb replacements are now available with a new UNIFORM light distribution and offered at up to a 20% price reduction. Sun-N-Fun RV Resort and Campground pictured below - minor wind damage as tropical storm Debby challenged much of Florida Sunday and Monday.